Glucosamine is an amino sugar that is naturally produced by the body but that you can also take in supplement form. The compound is an important precursor for cartilage and synovial fluid production which is why it is considered a viable arthritis remedy. The supplement form of glucosamine comes in several different varieties with glucosamine sulfate and glucosamine hydrochloride (HCL) being two of the most popular. Medical experts have debated over the years which one of the two works best for improving arthritis symptoms with most speaking in favor of glucosamine sulfate. However, glucosamine HCL may also have some advantage over glucosamine sulfate which is why it is important that you read the label when buying joint health supplements. To help you understand more about glucosamine HCL, we give you some facts about this common joint pain supplement. Joint pain caused by arthritis is treated with a combination of pain medicine, steroids, disease-modifying agents, and physical therapy. However, with osteoarthritis, in particular, doctors will also recommend joint supplements containing the compounds glucosamine and chondroitin. These compounds are precursors for healthy joint tissue production, but recent research also shows that they may play a role in controlling joint inflammation and pain. Both substances are naturally found in the body but their levels tend to decline with age. This is why older individuals at risk of rheumatic conditions and those already afflicted with arthritis are advised to make up for this loss by taking supplements. 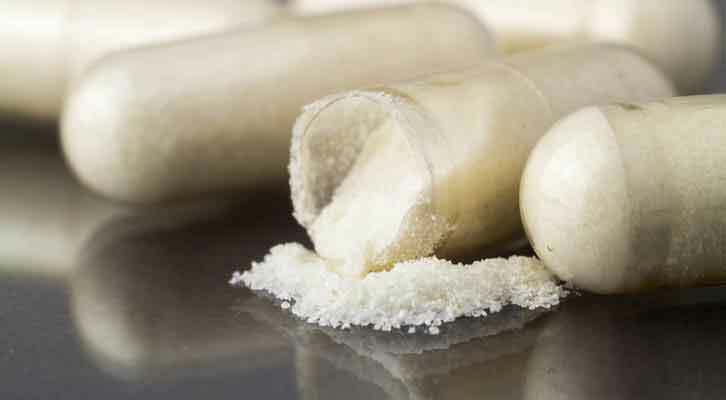 When speaking of glucosamine supplements specifically, most research and medical experts tend to focus on glucosamine sulfate as it has shown to be more effective in clinical trials than glucosamine HCL. However, glucosamine HCL is still used in the management of osteoarthritis in special instances. A review published in Arthritis Research & Therapy explains that glucosamine supplements at high concentrations reduce joint inflammation and that they also improve the structure of the joints. However, the review also points out to the fact that even at high doses, glucosamine is unable to reach plasma levels sufficient enough to modify disease outcomes. What this means is that glucosamine supplements may provide only moderate arthritis relief. The review also states that the type of glucosamine used also plays a role in its effectiveness and that the compound is generally considered safe even in large doses. Most studies of glucosamine were conducted using glucosamine sulfate and the results with this form of glucosamine seem to be promising. On the other hand, studies using glucosamine hydrochloride more often than not raise doubts regarding the effectiveness of glucosamine for osteoarthritis which is why it became a less popular arthritis supplement. Another problem with glucosamine supplements is that the product often does not contain what the label says it does, thus adding to the confusion. Some manufacturers even list glucosamine sulfate on their label when they have actually added glucosamine HCL to their product. 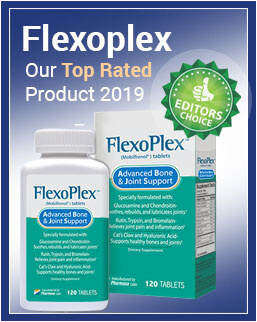 When glucosamine HCL was first added to joint pain supplements, the manufacturers and sellers of these products claimed that glucosamine hydrochloride contained more organic and bioavailable forms of glucosamine than its counterparts. Unfortunately, these claims have proved to be misleading as glucosamine sulfate was proven in most studies to outperform glucosamine HCL. But that does not necessarily mean that you should skip supplements containing glucosamine HCL altogether. Some studies found that glucosamine HCL works best when paired with other joint-benefiting ingredients, most notably chondroitin sulfate. When Is It Best To Use Glucosamine Hydrochloride? Glucosamine HCL may be a great addition to joint supplements that also contain chondroitin sulfate, shark cartilage, and camphor. Topical and parenteral administration of glucosamine HCL for short-term pain relief is also a viable option. However, for long-term use, it is best to stick to oral forms of glucosamine sulfate for best results. It is also important to mention that there are currently no guidelines recommending the use of glucosamine HCL in the management of osteoarthritis. For all these and many other reasons, it is best that osteoarthritis sufferers carefully read labels and purchase glucosamine sulfate supplements from reputable companies. Ask your doctor what supplements are proven to be most effective and how you should take them. Keep in mind that if you find that glucosamine fails to provide you with any relief within 6 months of usage, it is best to discontinue your therapy. Joint pain supplements are a controversial topic generating a lot of confusion in the medical community and patients alike. Studies on these supplements are inconclusive, but some show that glucosamine may help with pain, inflammation, and cartilage repair. When it comes to the specific type of glucosamine used, glucosamine sulfate wins over glucosamine chloride in terms of effectiveness. Speaking to your doctor about the best glucosamine supplement for your specific case may help direct you towards better treatment.